The systems consist of pairs of copper and aluminum anodes mounted into the sea chests or strainers. In operation, the copper anodes produce ions which are carried by the flow of seawater, creating a environment which barnacles or muscles will not settle or multiply. 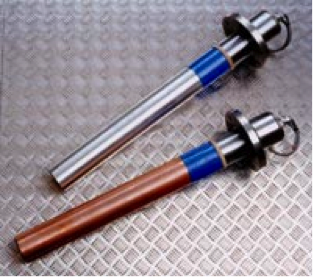 This action is assisted by aluminum hydroxide created by the aluminum anodes. The copper and aluminum hydroxide floc is carried throughout the system and tends to spread out in slower moving areas where marine larvae are most likely to settle. As a result, marine growth larvae pass directly to the discharge. At the same time, a cupro-aluminum film is built up on the internal surfaces of the pipes to suppress corrosion. The seawater cooling system is protected against bio-fouling and corrosion. Cathelco Ltd has developed a range of control panels for vessels of every size. Control panels can be fitted in the engine room or any other convenient area where they can be viewed by crew members. 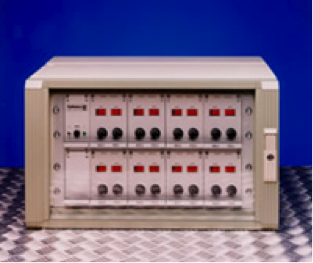 These control panels provide an impressed electrical current to the anodes and are designed with digital displays which enable the system’s status to be immediately monitored. Apart from these checks, the equipment is completely automatic and makes very little demand on crew time.